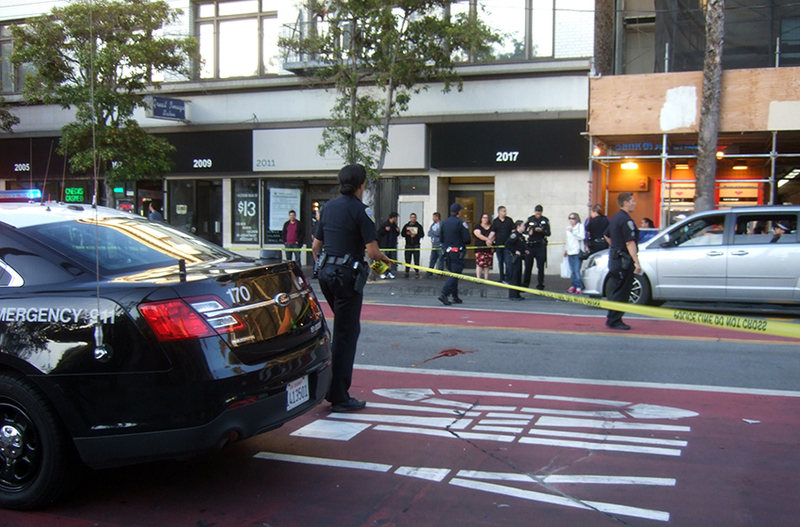 A car struck a man standing in front of a bus shelter at 16th and Mission streets just before 8 p.m. on Saturday, according to witnesses, prompting Mission Street between 16th and 17th to be closed off for several hours. As of Monday, the victim was in life-threatening condition, according to the San Francisco Police Department. He said the red sedan then stopped in the middle of the block, and the driver, a woman, got out of the car to check on the man. Police and medics arrived two minutes later, he said. The man was on the ground for 10 minutes before he was rushed off in an ambulance. “Her windshield had a massive head sized smash in it,” he said in an email. “A great deal of blood issued from his mouth,” Rogers continued. By that time, an officer had arrived and said into his radio, “Possible fatality,” according to Rogers. Medics soon arrived, he said. Photos taken immediately following the incident show blood on the street in front of the bus shelter. Around 9 p.m., a red sedan with a shattered windshield was parked along Mission Street near 17th Street. Its driver was talking to a police officer. 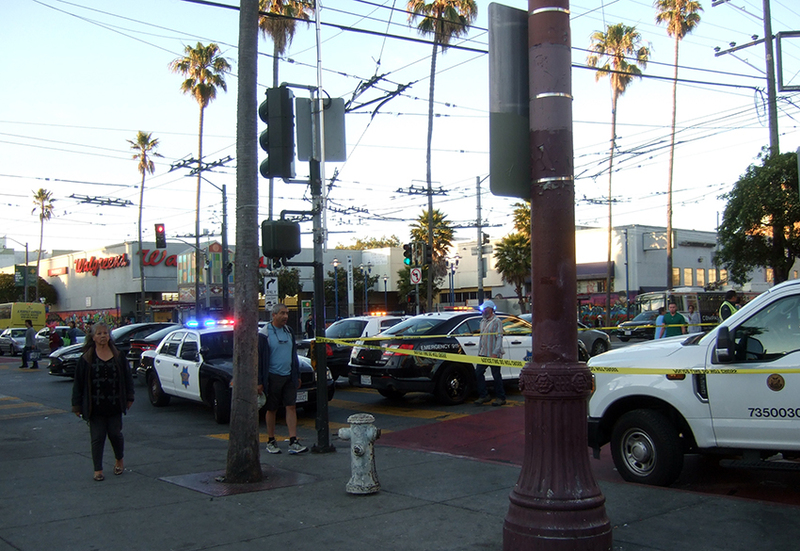 Mission Street near 16th at 8 p.m. Photo by Elizabeth Bell. I notice you’ve cut way back on your police beat coverage. It’s my favorite part of your site and is not reproduced anywhere else that I know of. Wish you would rededicate resources to covering breaking crime news.